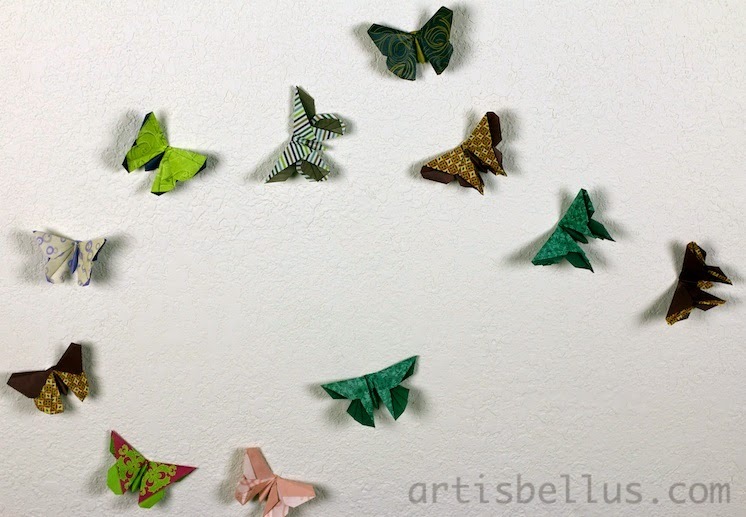 Michael Lafosse's origami butterflies are gorgeous, and very fun to fold. But be careful, once you fold one you will not be able to stop till you fold all of them. 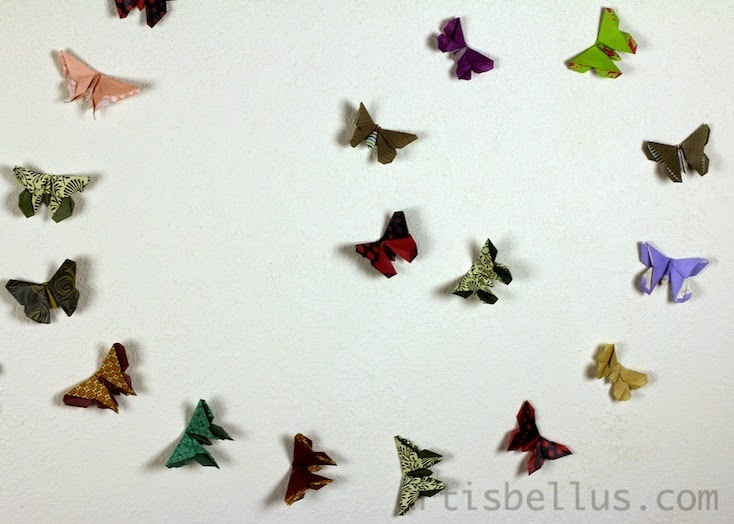 That's what happened to me, I end up folding all the butterflies available in the books Origami Butterflies Kit , and Michael LaFosse's Origami Butterflies: Elegant Designs from a Master Folder . Here is a picture of them decorating a wall at my home. 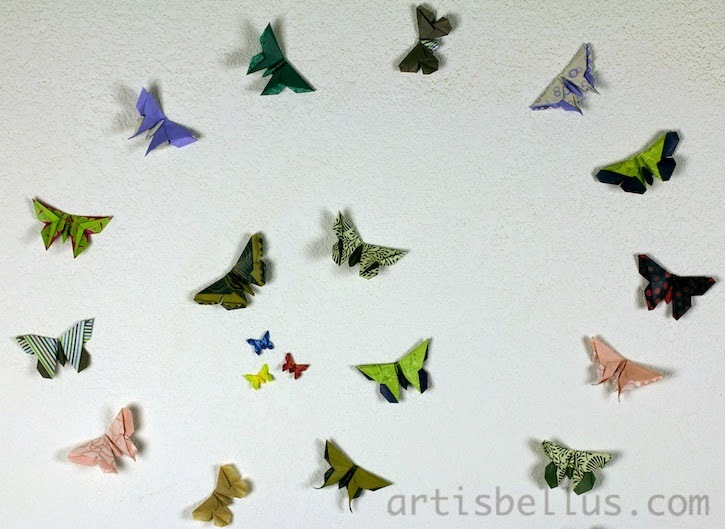 I used 6"(150 mm) squares of duo origami paper, and 2" (50 mm) squares for the three smallest on the left. 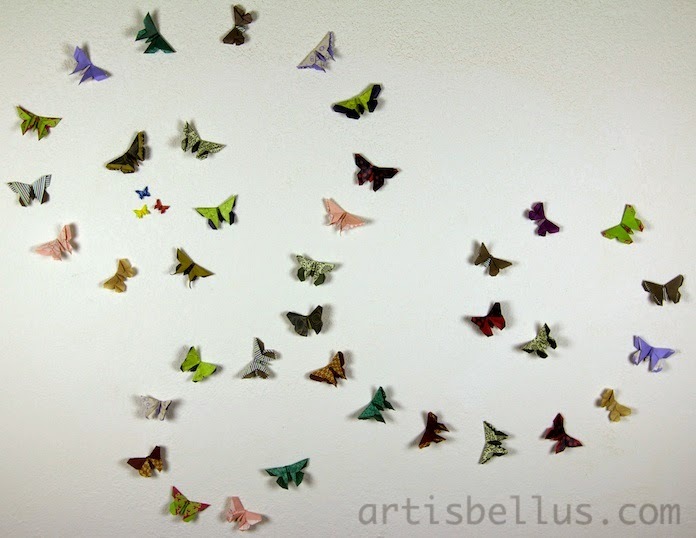 I stuck the butterflies to the wall using Saunders UHU Tac Removable Adhesive Putty Tabs . 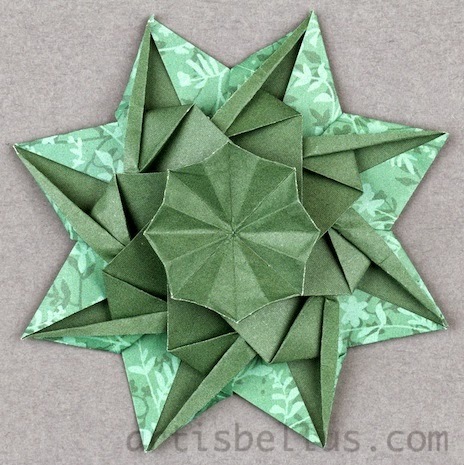 This rosette is a beautiful model, designed by Tomoko Fuse. The Bicolor Blue-Eyed Grass Flowers are the two color versions of one of my previous models. You can find more information and video instructions of how to fold a single color Blue-Eyed Grass Flowers here. 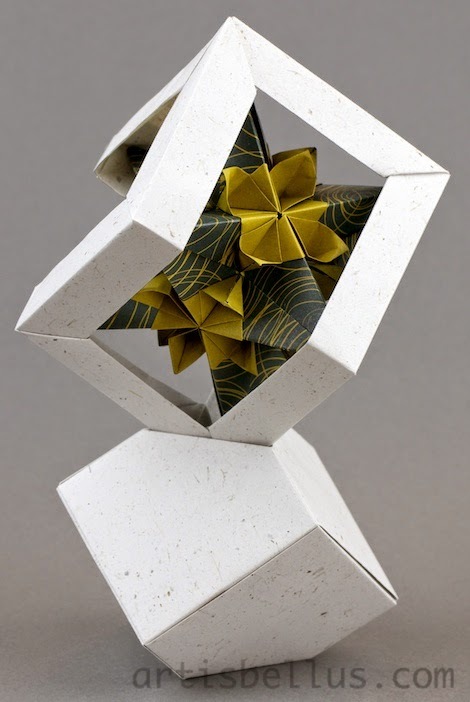 The bicolor version, also created by me, is folded from a triangle instead of a hexagon. 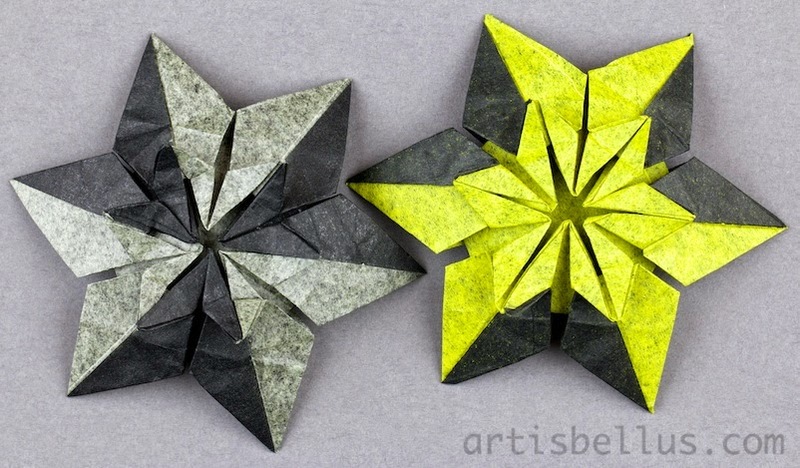 I folded each flower with a triangle, cut from a 9" (225 mm) square of hand made double tissue paper.